You'll be £30.00 closer to your next £10.00 credit when you purchase Arnhem 1944. What's this? Arnhem was meant to end the war in Europe. The Germans were in retreat from Normandy and seemed to be beaten. Three airborne divisions were to seize the bridges across the great rivers of Holland and unleash the Allied armies into Germany. 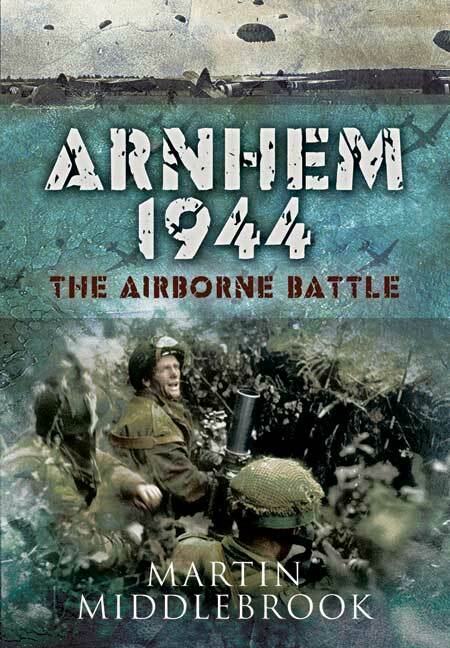 The Battle of Arnhem was a turning-point in the war, a gamble by Montgomery, using three airborne divisions to capture a series of bridges across the wide rivers that separated a powerful mobile army from the plains of northern Germany. If the bridges had been captured and held, and the ground forces had been able to relieve the airborne forces, then there would have been a good chance of ending the war before Christmas 1944. It all went wrong. The initial operation was successful, the bridges taken by the Americans were relieved by ground troops, but these troops could not reach Arnhem quickly enough. In the meantime, only a small part of the 1st British Airborne Division had reached the Arnhem Bridge. Most of the remainder of the airborne force was held up on the outskirts of the town by German units that turned out to be far stronger than expected - a major intelligence failure. After nine days of fighting, the survivors of the division were withdrawn across the Rhine and it was not until many months later that ground forces captured Arnhem. Using the technique he has perfected over twenty-five years of military study, blending meticulous research based on original documents with the personal experiences of more than 500 participants, Martin Middlebrook describes the Battle of Arnhem from start to finish, from one end of that complicated battlefield to the other. The author offers a masterly summary of what went wrong in the last major defeat in battle suffered by the British Army. What's good about it is that as the action is explained it is copiously interspersed with commentary from the diaries and memoirs of the soldiers who were fighting - from mainly a British perspective. Here we have a slightly new “take” on a format that has been around for a long time: the adventure book. This format has manifested itself in a number of ways before, like in Dungeons and Dragons. For those not familiar with this type of book, at its start you are given the background to the environment or situation the forthcoming adventure will be based around. You will also be told who your character is, and maybe something of their objectives or aims. You then read through a series of numbered paragraphs and are given a range of options and decisions to make. Depending on what course of action you decide, you are then taken to the corresponding numbered paragraph which tells you the consequences of that last decision. With any kind of wargame, the proof of the pudding is in the playing. It has been a long time since this reviewer (me) has played this type of wargame, and I have to admit that I found it thoroughly addictive—having been ambivalent about the concept being offered to an “adult” audience. I played it four times. I was able to win as Urquhart. But as Bittrich I ended up captured, recalled to Berlin and injured by fighter-bombers. Overall I thought this was an excellent book/wargame (wargames-book?). I found that the decisions offered were challenging.